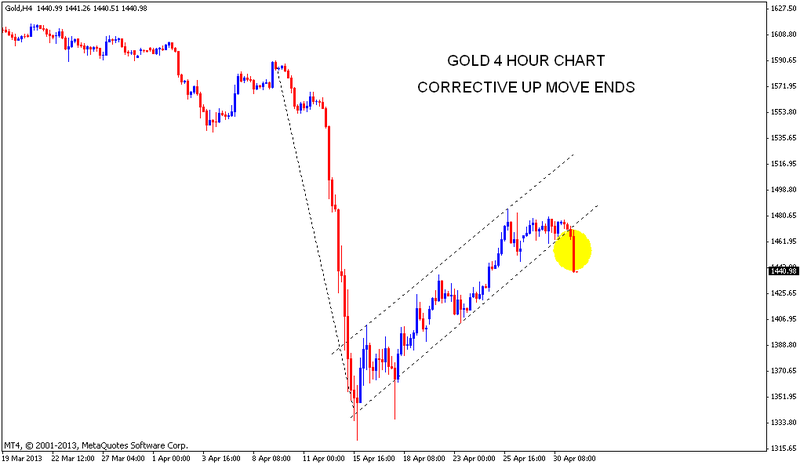 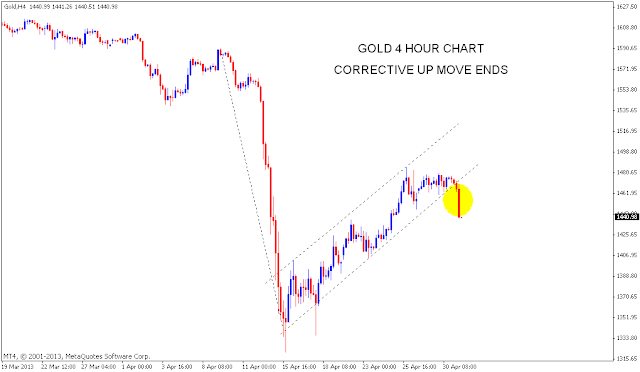 Gold 4 hour chart shows price correction from the corrective channel. 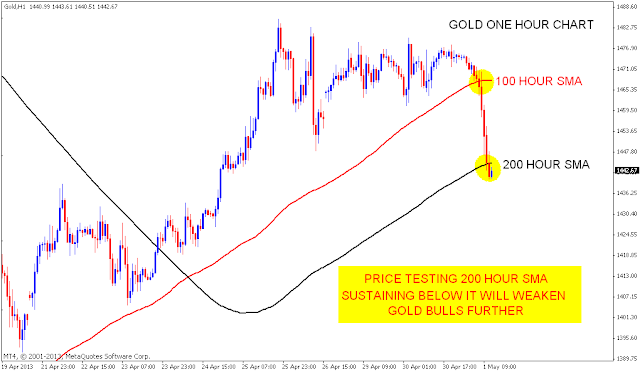 One hour chart shows price testing 200 Hour SMA. Price sustaining below this level will further strengthen gold bears. 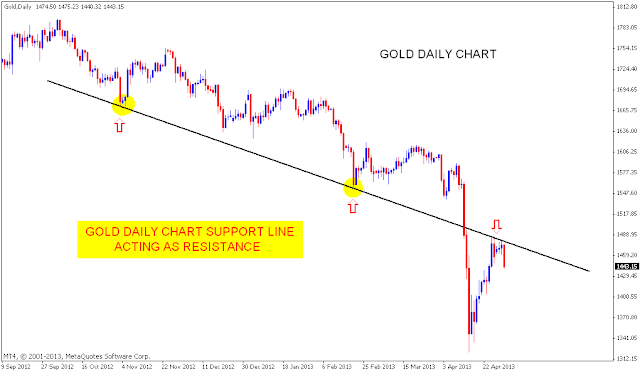 Last chart shows daily chart with previous support line acting as resistance. 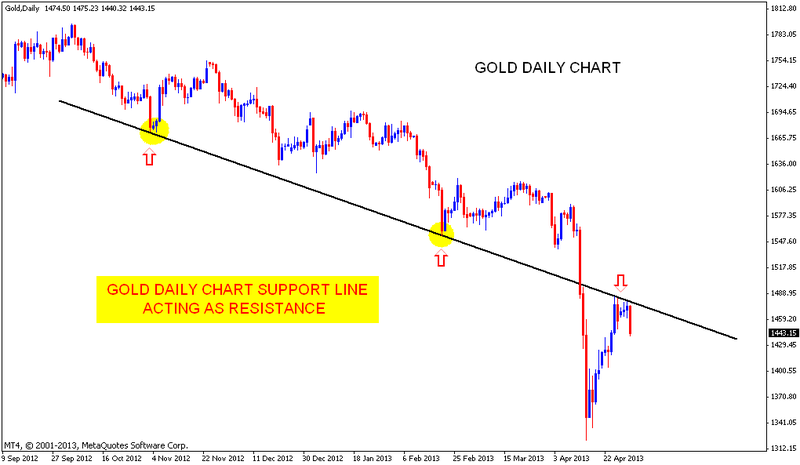 Hope for bulls only if price is able to takeout this line which looks a tough ask in the short term.